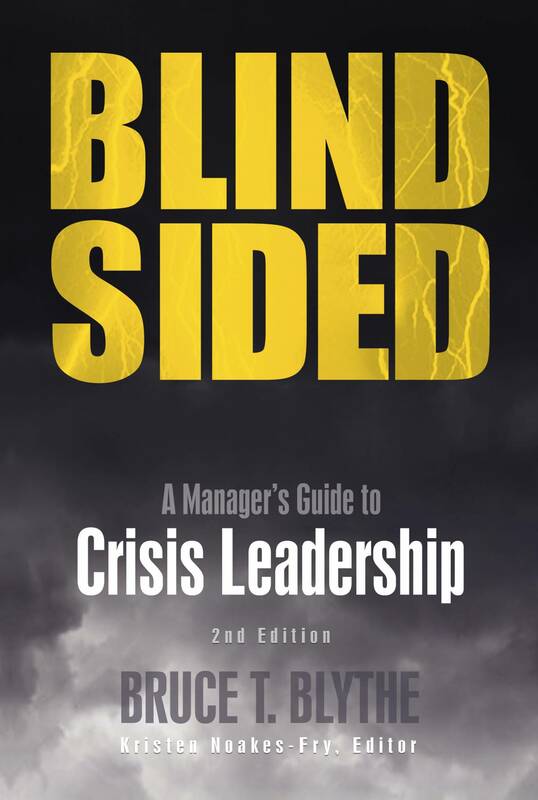 Bruce T. Blythe counsels these Five Guiding Crisis Leadership Principles in his landmark book, BLINDSIDED: A Manager’s Guide to Crisis Leadership. Your organization may want to add to this list. For example, if you are in an industry that can cause environmental damage, protection of the environment may also be one of your guiding principles during crisis response. In a pharmaceutical company that conducts testing on laboratory animals, your guiding principle may be to endorse animal rights laws. 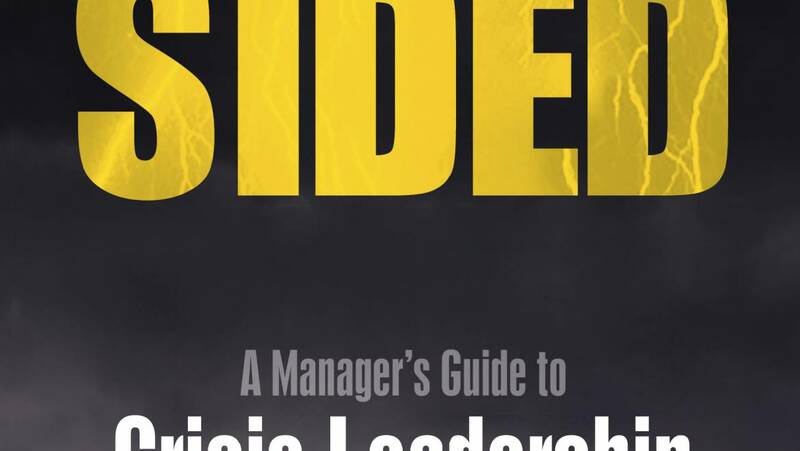 In any case, guiding principles for crisis response that are established prior to your next critical incident can be a crisis leadership roadmap throughout the organization for strategic crisis decision-making. Following these five principles can help crisis managers overcome unrecognized character flaws that can emerge when blame, chaos, high-consequence threat, and other stress-inducing situations are involved. Wellbeing of people first, with caring and compassion. Address needs and concerns of all stakeholders in a timely manner. All decisions and actions based on honesty, legal guidelines, and ethical principles. Available, visible, and open communication with all impacted parties. Reportedly, Burke’s senior management team, the FBI, and the US Food and Drug Administration all advised him against taking Tylenol off the shelves following the fatal Tylenol tampering in Chicago. The argument was for Burke to avoid any action that could reinforce the criminal who perpetrated the incident. His management team pleaded with him to consider the negative effects on market share and shareholder value. Ultimately, Burke referred to the credo that clearly stated the first priority (guiding principle) was to its customers. People were dying, and there was no assurance more would not soon follow. So, Burke ordered all $110 million of Tylenol nationwide to be taken off the store shelves. The full story has been shared many times, and I won’t go into more detail here. But, the crisis leadership lesson learned is that guiding principles can be invaluable beacons during the chaos of crisis decision-making. In the following example, we will explore the outcome of a crisis leadership challenge in which the guiding principles shared above were followed, but a wrong decision was made. In 2005, Hurricane Rita was the fourth most powerful Atlantic hurricane in history. Right before this, gasoline prices had spiraled upward because of Hurricane Katrina. Prior to the landfall of Hurricane Rita, Governor Sonny Perdue of Georgia expected gasoline shortages, wildly higher prices, and long waiting lines for fuel due to anticipated damage to oil refineries in Texas and Louisiana. In an effort to get ahead of the crisis, stockpile fuel, and hedge against rising prices, Perdue ordered on a Friday afternoon that all schools in the state be closed on the following Monday and Tuesday. Parents were outraged as they scrambled to arrange for daycare and other accommodations for all the school children. 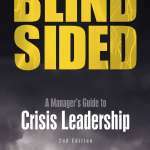 Bruce Blythe is author of the landmark book BLINDSIDED: A Manager’s Guide to Crisis Leadership and an expert on crisis leadership principles. As it turned out, the refineries weathered the storm, and there was no gas shortage. So, what happened to Sonny Perdue’s reputation due to this miscalculation that caused state-wide disruption for hundreds of thousands of families? According to the guiding principles listed about, he put the greater needs of people first by hedging against rising prices and long lines for fuel. He took responsibility on a timely basis for responding to the anticipated crisis. 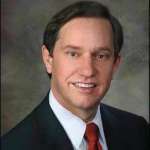 His crisis leadership decision was based on an honest assessment of the anticipated crisis impact, as evidenced by the previous price increases from Hurricane Katrina. Finally, he communicated with his constituents in a visible and open manner. The fallout for Governor Perdue was only a mild blip on the radar screen with his reputation untarnished. This is one example of how the guiding principles listed above can protect your reputation, even if you make a wrong decision.